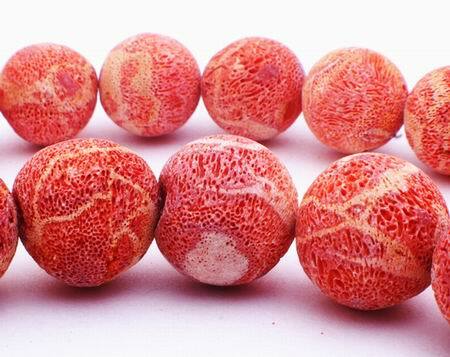 Jumbo Brushed Red Coral 14mm Beads - unusual! Price is per 16-inch strand of about 29 of these large 14mm, unusual beads. Made from genuine Chinese coral (dyed red).